Todd Sandler researches international political economy, defense, environmental issues, international health concerns, terrorism, and public economics. He received his PhD from the State University of New York at Binghamton in 1971. He teaches Honors: Introduction to Game Theory, The Political Economy of Terrorism, Graduate Public Economics, and Intermediate Microeconomics. 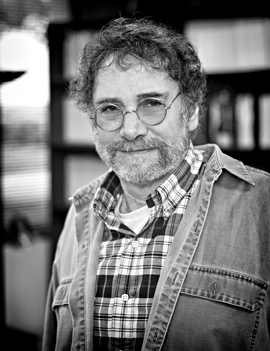 Sandler's research has appeared in leading journals in economics and political science, including the American Political Science Review, the American Economic Review, American Journal of Political Science, Quarterly Journal of Economics, Political Analysis and the Journal of Law and Economics. He has also authored or co-authored twenty-two books. He serves on numerous editorial boards, including Global Policy, American Political Science Review, Review of International Organizations, Defence and Peace Economics, and Journal of Conflict Resolution. Duncan Black Award for best article in Public Choice, 2005. Honorary Visiting Professor, Department of Economics, University of York, October 1999-September 2002, October 2003 to September 2006, October 2006 to September 2009. Annual Award for Excellence in Honors Teaching for 1998. “Terrorist Signalling and the Value of Intelligence,” (with Daniel G. Arce) British Journal of Political Science, Vol. 37, No. 4, October 2007, pp. 573-586. “Civil Wars and Economic Growth: Spatial Dispersion,” (with James C. Murdoch), American Journal of Political Science, Vol. 48, No.1, January 2004, pp. 138-151. “Economics of Alliances: The Lessons of Collective Action,” (with Keith Hartley), Journal of Economic Literature, Vol. 39, No. 3, September 2001, pp. 869-896. “Immigration Policy and Counterterrorism,” (with Subhayu Bandyopadhyay), Journal of Public Economics, Vol. 110, February 2014, pp. 112-123. “An Evaluation of INTERPOL's Cooperative-Based Counterterrorism Linkages,” (with Daniel Arce and Walter Enders), Journal of Law and Economics, Vol. 54, No. 1, February 2011, pp. 319-337.